Great 3 bed 3 bath cottage at Pirates Bay ready for your own personal touch. This is an opportunity to furnish and decorate to your taste! 309 is currently undergoing renovations from Harvey but they are nearing the end and should be complete soon. When finished, sellers will furnish and price will increase to $289,000. This cottage is in Phase III of the community and has the added bonus of the large breezeway for outside entertaining and fenced in rock yard at the rear for an open area to hang out and grill your catch. 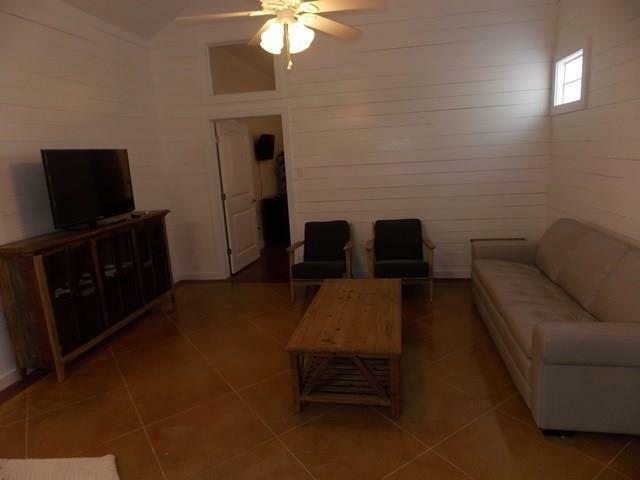 Inside the home the great room has beautiful shiplap walls with stained concrete floors and the kitchen has granite counters and stainless appliances. There are two master bedrooms with their own baths and one guest room with hallway bath. In addition to the 3 bedrooms there is designated alcove off the hallway to add bunk beds for an additional sleeping area. Pirates Bay has two community slope entry pools, palapas, a playground, and a bbq grilling area. Listing provided courtesy of Sand Key Realty. © 2019 Coastal Bend Multiple Listing Service.